Congrats To This Weeks Winners of World Junior Championship Tickets! We’ve made another draw for World Junior Championship tickets! Each week we will draw 3 names from our ballot box, and those lucky winners get to draw a game from either the Round Robin or Playoff games hosted in Calgary! At the end of December we will be having a grand prize draw where 100 people will be given the chance to “Shoot to Win” tickets to the Gold and Bronze medal games! This weeks winners are Crystal Martin, Melanie Pocsik and Robert Heintz! Our winners can come in on Monday to draw their games! Congrats to this weeks winners, and best of luck to everyone the rest of the way!! Remember, any purchase in any department of the dealership gets your name entered, so make sure to come down and get your ballot in!! This weeks winners are Laurie Sernick, Ryley Burrows, and Christa McRae! Our winners can come in on Monday to draw their games! Congrats To Our Week 3 Winners Of World Junior Championship Tickets!! 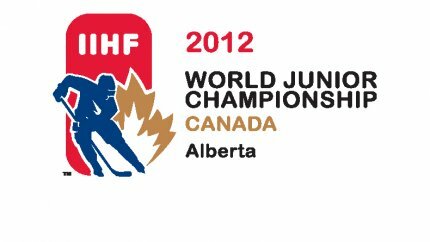 Another week gone, another 3 World Junior ticket winners!! Each week we will draw 3 names from our ballot box, and those lucky winners get to draw a game from either the Round Robin or Playoff games hosted in Calgary! At the end of December we will be having a grand prize draw where 100 people will be given the chance to “Shoot to Win” tickets to the Gold and Bronze medal games! This weeks winners are Barry Hrushka, Glen Presley and Warren Stark! Our winners can come in on Monday to draw their games! Thats right folks – 3 more winners of World Junior tickets!! Each week we will draw 3 names from our ballot box, and those lucky winners get to draw a game from either the Round Robin or Playoff games hosted in Calgary! At the end of December we will be having a grand prize draw where 100 people will be given the chance to “Shoot to Win” tickets to the Gold and Bronze medal games! This weeks winners are Jack Ward, Clayton Leibel, and Kelly Olechowski! Our winners can come in on Monday to draw their games!